So what is “churning” in our kitchen today? Compound butter! If you have never made compound butter, then you are missing out! Compound butter is a cinch to make, and it adds a decadent finish to pretty much everything, meats, seafood, bread, vegetables, pancakes, waffles, and so much more. We wanted to share 20 of our favorite compound butter combinations below, (using you guessed it, Cherchies® products), as well as directions on how to make it. So what exactly is compound butter? It is softened butter infused with sweet or savory ingredients. The possibilities are endless as to what can go into butter...herbs, cheese, fruit, mustard, spices, jams, fruit, bacon, etc. Talk about a blank canvas! Sweet compound butter pairs well with scones, rolls, pancakes, waffles, biscuits, croissants, etc., whereas savory compound butter is better with meats, seafood, bread, vegetables, popcorn, and pasta. And sometimes, the sweet and savory are paired together to create something unusually delicious, such as Blackberry Preserves, Champagne Mustard and butter. Compound butter is perfect for holidays and parties, or anytime you are feeling fancy, but it also makes an ideal gift for the food-lover in your life. Wrap it up or spread the love into a pretty bowl or container and voila, an instant homemade gift! So what are you waiting for? Mix up your favorite Cherchies® products today and make tasty compound butter. You will not be disappointed! Comment below and let us know your favorite combinations or if you have a new mix to share. Have fun! Sweet Compound butters- Use on scones, rolls, pancakes, waffles, French Toast, biscuits, corn bread, croissants, and toasted bagels. Fig, cinnamon, and honey butter- Combine 1/2 c. (8 Tablespoons) unsalted softened butter with 1/4 cup Cherchies® Fig Preserves with Cinnamon, and 1 Tablespoon honey. Strawberry honey butter- Combine 1/2 c. (8 Tablespoons) unsalted softened butter with 1/4 cup Cherchies® Strawberry Butter Spread, and 1 Tablespoon honey. Cranberry Butter with Champagne- Combine 1/2 c. (8 Tablespoons) unsalted softened butter with 1/4 cup Cherchies® Cranberry Preserves with Champagne, and 1 teaspoon (tsp) orange zest. Blackberry Bourbon Butter- Combine 1/2 c. (8 Tablespoons) unsalted softened butter, 1/4 cup Cherchies® Blackberry Seedless Preserves, 2 teaspoons (tsp) honey, and 2 teaspoons (tsp) Bourbon (optional). Cherry Vanilla Butter- Combine 1/2 c. (8 Tablespoons) unsalted softened butter, 1/4 cup Cherchies® Cherry Butter Spread, and 1 teaspoon (tsp) vanilla. Apple Cinnamon Honey Butter- Combine 1/2 c. butter (8 Tablespoons) unsalted softened butter with 1/4 cup Cherchies® Apple Butter Spread, and 1 Tablespoon honey. Strawberry Lemon Butter- Combine 1/2 c. (8 Tablespoons) unsalted softened butter, 1/4 cup Cherchies® Strawberry Butter Spread, and 1 Tablespoon (Tbsp.) lemon zest. Blackberry Lemon Butter- Combine 1/2 c. (8 Tablespoons) unsalted softened butter, 1/4 cup Cherchies® Blackberry Preserves, and 1 Tablespoon (Tbsp.) lemon zest. 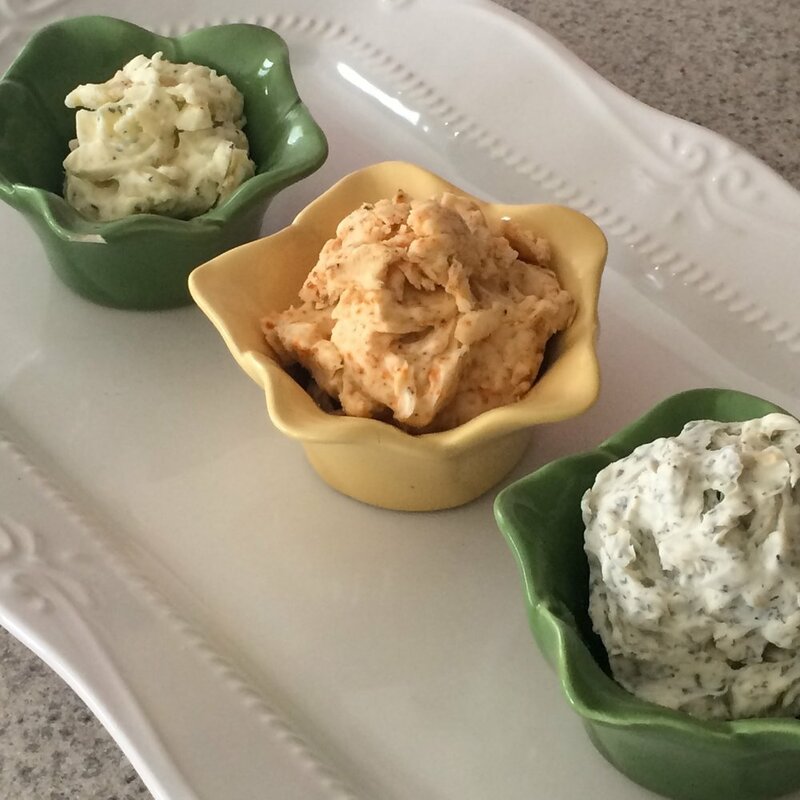 Savory Compound Butters- Add to meats, seafood, breads, vegetables, popcorn, and pasta. Blackberry Champagne Butter- Combine 1/2 c. (8 Tablespoons) unsalted softened butter, 1/4 cup Cherchies® Blackberry Preserves and 2 Tablespoons Cherchies® Champagne mustard. This sweet and savory combination is absolutely fantastic on salmon! Chardonnay Lime & Cilantro Butter- 1/2 cup (8 Tablespoons) unsalted butter, 1 Tablespoon (Tbsp) Cherchies® Chardonnay Lime & Cilantro Seasoning Blend. Garlic, Herb and Parmesan Butter- 1/2 cup (8 Tablespoons) salted butter, 1 Tablespoon (Tbsp) Cherchies® Garlic’n Herb Seasoning Blend. Champagne Herb Butter- 1/2 cup (8 Tablespoons) salted butter, 1-2 Tablespoons (Tbsp) Tarragon and 2 Tablespoons Cherchies® Champagne Mustard. Lemon Dill Mustard Butter- Combine 1/2 cup (8 Tablespoons) unsalted butter, 1-2 Tablespoons (Tbsp) Cherchies® Lem’n Dill and 2 Tablespoons Cherchies® Champagne Mustard. Basil and Herb Butter- Combine 1/2 cup (8 Tablespoons) unsalted butter, 1-2 Tablespoons (Tbsp) Cherchies® Basil Pizzazz Seasoning Blend. Cranberry Mustard Butter- Combine 1/2 cup (8 Tablespoons) salted butter, 1-2 Tablespoons (Tbsp) Cherchies® Cranberry Mustard. Lemon Pepper Butter- Combine 1/2 cup (8 Tablespoons) unsalted butter, 1 Tablespoon (Tbsp) Cherchies® Lem’n Pepper Seasoning Blend. Pepper and Lime Butter- Combine 1/2 cup (8 Tablespoons) salted butter, 1 Tablespoon (Tbsp) Cherchies® Pepper’n Lime Seasoning Blend. Mexican Fiesta Butter- Combine 1/2 cup (8 Tablespoons) unsalted butter and 1 Tablespoon (Tbsp) Cherchies® Select Grilling Rub & Seasoning Blend. Garlic and Herb Butter- Combine 1/2 cup (8 Tablespoons) unsalted butter, 1 Tablespoon (Tbsp) Cherchies® Garlic Seasoning Blend, 1 teaspoon Rosemary, and 1 teaspoon Thyme. Cajun Butter- Combine 1/2 cup (8 Tablespoons) unsalted butter and 1 Tablespoon (Tbsp) Cherchies® Cajun Seasoning. It all starts with this key ingredient...butter! Make sure to use unsalted butter so you can control the salt, unless directed otherwise. Allow the butter to come to room temperature. I usually leave the butter out on my counter for a couple of hours, but some sources suggest cutting the butter into chunks and setting aside. 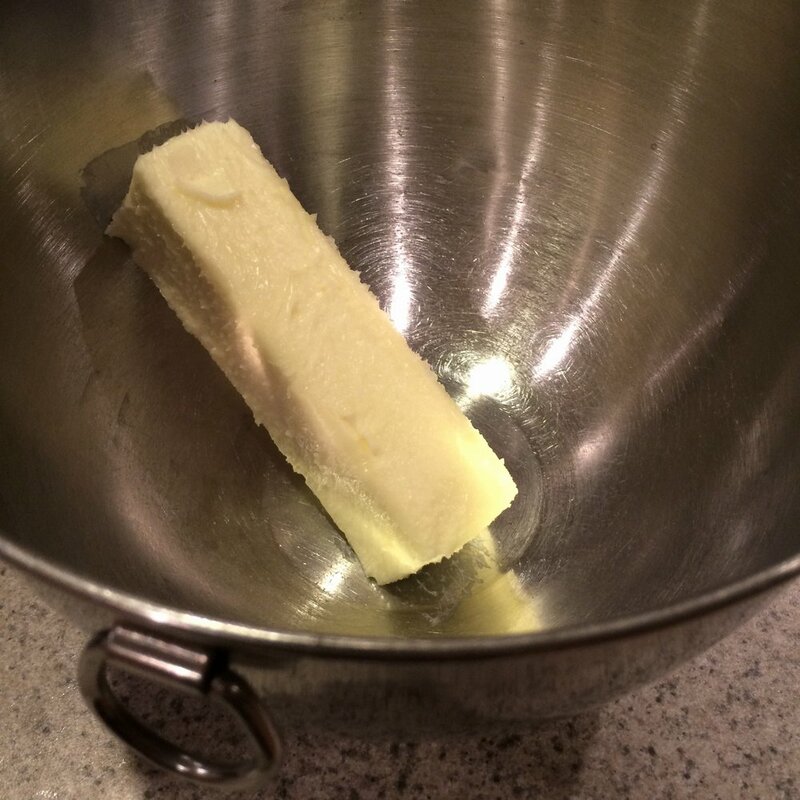 Once the butter is softened, combine the desired ingredients in a bowl with a whisk, rubber spatula, or a hand mixer. I will often soften several sticks of butter and divide them into ramekins so I can make several flavors. Once the butter is in your desired container, chill the butter in the refrigerator for a couple of hours. The butter should be nice and firm when it is ready. Experiment and have fun! 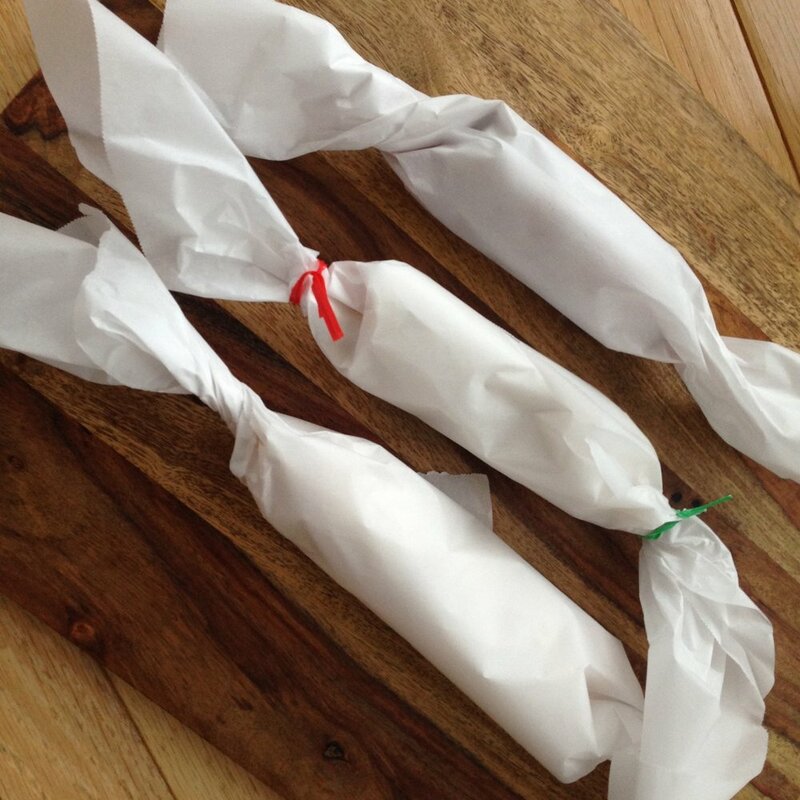 Cylinder/log- Turn the mixture out onto a long sheet of plastic wrap, aluminum foil, or parchment paper. Use the wrap/foil to roll the butter into a cylinder. Twist the ends, gradually applying more pressure as you twist in order to make the cylinder taut. Once the butter has chilled, slice the butter into discs or “coins” as some like to say. Bowl- For a more rustic presentation, spread the butter into a pretty bowl or container. Presented this way would make perfect gifts. Shape it- Spread the butter on a baking sheet and once it is chilled, use cookie cutters to create festive shapes OR spread the butter into plastic candy molds before chilling. Up the coolness factor at your next family gathering or party and make these tasty compound butters today. Burger lovers, be prepared to be blown away! This Tex-Mex burger recipe is a force to be reckoned with, as it hits all the flavor notes, sweet, spicy, and smoky, all wrapped up in one lip-smacking package! Inspired by a leftover jar of our sweet and robust Black Bean & Corn Salsa, my mission was set, to incorporate the leftover salsa and create a burger recipe that would send our taste buds into overload. Mission accomplished! This burger was a huge hit with our family! Are you salivating yet? Hang in there! Aside from the tasty toppings, one key to this delicious burger is no-doubt, the freshly ground meat. A few years back, our friends introduced us to the idea of homemade ground meat, and it has truly taken our burgers to the next level. Ask your grocery store butcher to grind the meat for you, or grind it at home. We purchased a food grinder attachment for our mixer, but there are plenty of other meat grinding options if you don't have a mixer. Seriously consider adding this palate-tantalizing recipe to your favorites. You will not be disappointed and your family will thank you! These would also make rockin' sliders for your next Game Day menu, everything the same, except smaller. Serve these burgers with our Cilantro Lime Corn on the Cob or our Herbed Sweet Potato Fries and our Best Darn Colesalw for a complete meal. If grinding your own meat, cut the meat into 1-inch strips or pieces. Grind the meat with a meat grinder into a large bowl (you can certainly use store-bought ground meat). Add the egg, Cherchies® Grilling Rub & Seasoning Blend, and Worcestershire sauce to the meat. Mix until just incorporated (meat tends to toughen up the more it is handled). Divide the meat into 4 equal portions (more if you would like smaller burgers). Lightly oil the grill with cooking spray or oil. Turn the grill onto high, then low after a few minutes. Make an indent in the center of the burgers. This allows the burger to cook evenly. Grill burgers for about 4-6 minutes on each side, depending on your "pink preference". Add the cheese to the burgers the last couple of minutes of cooking. Lightly toast the rolls either for a few minutes on the grill or broil for a few minutes in the oven. Now the fun part, building this beautiful tasty burger! Arrange the rolls on a tray or plate. Spread about 1 Tablespoon of the Terrapin Ridge Farms Chipotle Aioli onto one roll half. Next add the Chardonnay Guacamole to the other half to the other half, followed by a slice of onion. A juicy, mind-blowing, flavorful, Tex-Mex burger! Grab some napkins and enjoy! Burgers have to be one of our family's favorite meals, all kinds! You can make a burger out of practically everything (meat, beans, vegetables, etc. ), and according to daysoftheyear.com, May is hamburger month. One of our favorite burgers is our Pizzazzed Burger, made with our special Pepper Pizzazz Seasoning Blend! 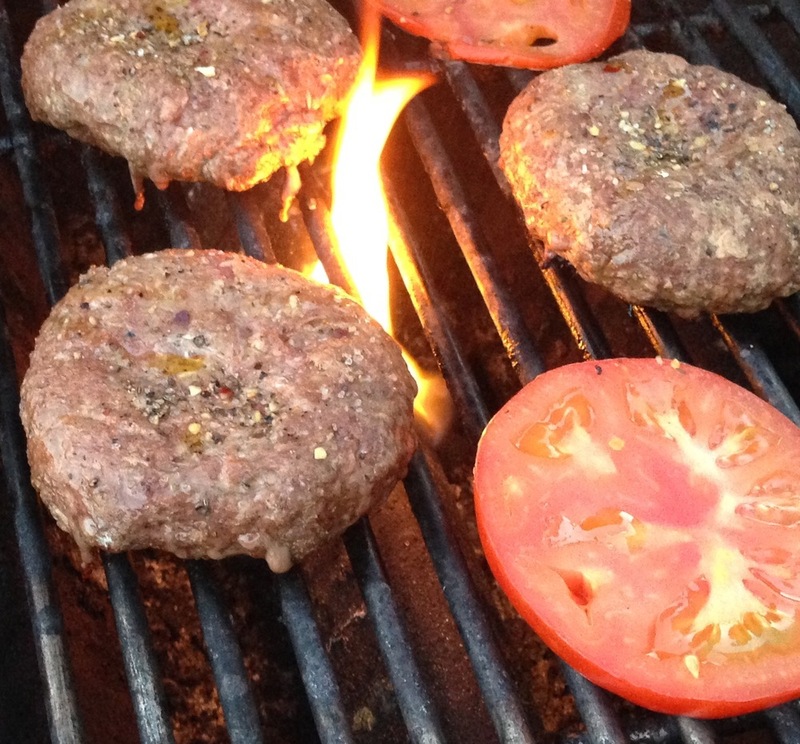 For years at our swim club cookouts, people would ask, "What seasoning did you use in the burgers?...They're amazing!" In celebration of hamburger month, this mouth-watering burger recipe will have your guests asking for seconds. We have made this basic recipe with beef as well as ground chicken and turkey. It's a must have in your recipe arsenal. Add our favorite toppings (mustards, ketchups, or special sauce combinations) for a delicious tasy burger. Short on time? Purchase frozen burger patties from your local grocery store, and sprinkle Cherchies® Pepper Pizzazz on top. Instant flavor (this is what we used to do at our swim clubs for those impromptu cookouts). So fire up those grills...it's burger season. What's your favorite burger recipe? We'd love to hear from you! 1 Lb. ground meat (we use a mixture of beef, pork, and veal, but have made this recipe with ground chicken or turkey). Saute the onions in olive oil. I don't always do this step (Ok, sometimes I get lazy). Fresh finely minced onions are just as good. Set aside. Add remaining ingredients plus the cooked onions to a large bowl. Mix with hands to just combine. Shape into patties and place on parchment paper-lined baking sheet. Next, use your thumb to make a little well in the burger (Thank you Rachael Ray for that tip). Freeze for about 30 minutes. My hubby swears by this step, but I've made them without freezing. Turn grill onto High then low after grill has heated up. Cook to desired doneness. Serve with our Herbed Sweet Potato Fries, Festive Deviled Eggs, and Strawberry Spinach Salad for a complete meal. Enjoy! Happy Belated Grilled Cheese Sandwich Day! What??? Yes, that's right, according to the Days of The Year Calendar, April 12th, was Grilled Cheese Sandwich Day! So all you grilled cheese aficionados out there, don't fret that you missed the event. Any day is a good day for a grilled cheese sandwich. Right? Do you know what else goes well with grilled cheese? Mustard of course, Cherchies® Mustards, more specifically:) Cherchies® Champagne Mustard, our signature product since 1978, continues to be one of our most popular condiments and is delicious in so many recipes, including grilled cheese sandwiches! Check out blog.cherchies.com for more recipes. It's our secret ingredient too in our Champagne Blackberry Grilled Ham & Cheese and our Grilled Turkey & Cheese Waffle Panini (Although, I guess it's not secret anymore;) Thank you Nancy for sharing! I'm amazed at all the grilled cheese combinations out there. What's your favorite grilled cheese combination? We'd love to hear from you. Here are a few of our favorites. Thank you for visiting! So, who's ready for a grilled cheese sandwich? I know I am:) Enjoy!